Hillary Clinton's campaign manager is alleging that Russian hackers are leaking Democratic National Committee emails critical of Bernie Sanders in an effort to help Donald Trump win the election in November. It comes on the heels of "changes to the Republican platform to make it more pro-Russian," Robby Mook told CNN's Jake Tapper on "State of the Union" Sunday. "I don't think it's coincidental that these emails were released on the eve of our convention here, and I think that's disturbing," he said. The DNC has previously had its files hacked by an individual named "Guccifer 2.0" that may have had ties to the Russians. Hackers stole opposition research on Donald Trump from the DNC's servers in mid-June. Two separate Russian intelligence-linked cyberattack groups were both in the DNC's networks. Mook pointed to Trump's position on NATO -- that he wouldn't necessarily assist allies who haven't contributed enough financially to the organization -- and argued that position would aid Russia in Eastern Europe, as well. "I think when you put all this together, it's a disturbing picture, and voters need to reflect on that," Mook said. Trump's campaign seized on Mook's comments, using them to attack Clinton as a candidate who "will do and say anything" to win. "What a joke," Trump senior communications adviser Jason Miller said in a statement. "This shows that Hillary Clinton will do and say anything to win the election and hold onto power in the rigged system." Donald Trump Jr., the son of the Republican nominee, also bashed Mook's comments later on "State of the Union." "It just goes to show you their exact moral compass. I mean they'll say anything to be able to win this. This is time and time again, lie after lie," Trump Jr. told Tapper. "It's disgusting. It's so phony. I watched him bumble through the interview." He added "These lies and the perpetuating of nonsense to try to gain some political capital is outrageous and he should be ashamed of himself. If a Republican did that, they'd be calling for people to bring out the electric chair." On CNN's Erin Burnett OutFront, Trump campaign chairman Paul Manafort called any claims of Russian assistance to the Trump effort "absurd" when asked about it on the show. "Donald Trump is talking about the failed leadership of the Obama administration," Manafort said. "I don't know anything about what you just said. You may know it. If you do, expose it. But to say you know -- i don't know what you're talking about. It is crazy." 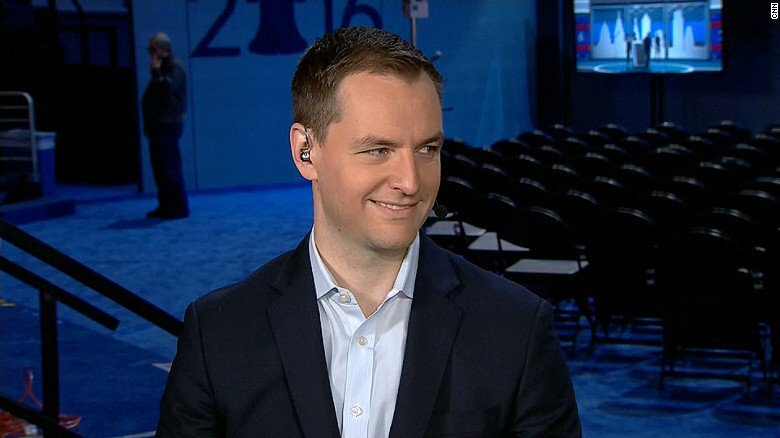 Mook downplayed the possibility that the email release will rip open divides between supporters of Clinton and Sanders just before the Democratic National Convention kicks off in Philadelphia. "The DNC needs to take appropriate steps, and I'm confident that they will," he said.